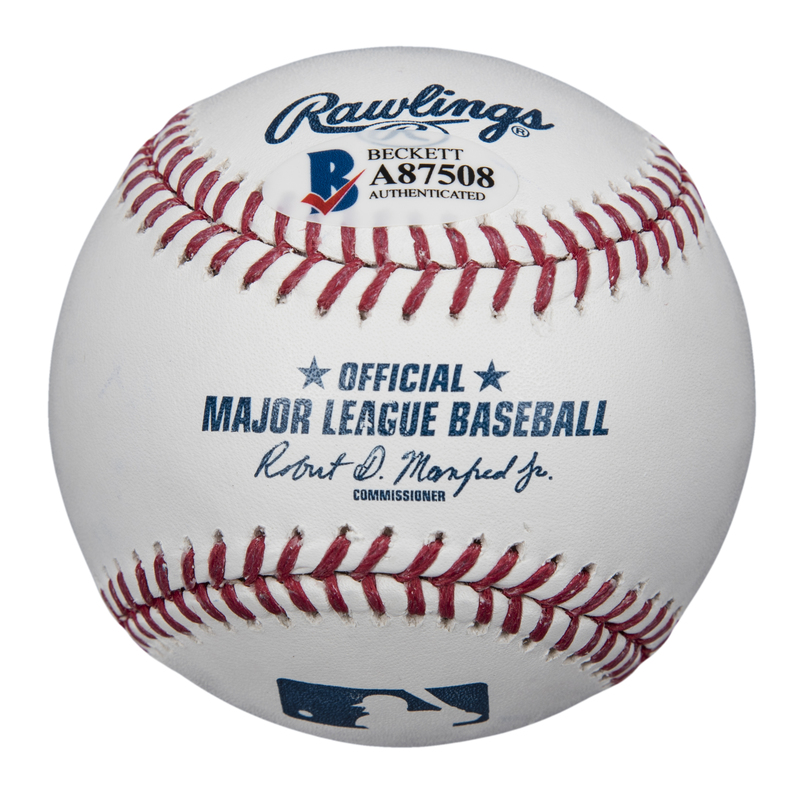 The Hall of Fame ace Sandy Koufax has signed this Official Major League Robert D. Manfred Jr. baseball. Koufax, a lifelong Dodger, was the dominant power arm of his generation. Koufax was unhittable in his prime, winning three Cy Young awards and the 1963 National League MVP trophy. The Brooklyn native led the Dodgers to three World Series titles and set a then-Major League record in 1965 with 382 strikeouts. 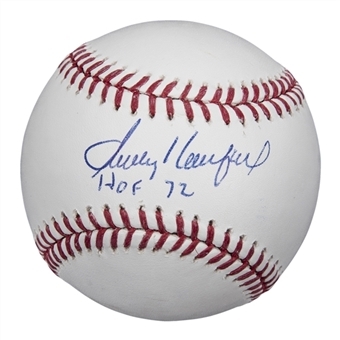 Koufax has signed the sweet spot of this baseball in blue pen, inscribing “HOF 72” below his signature. 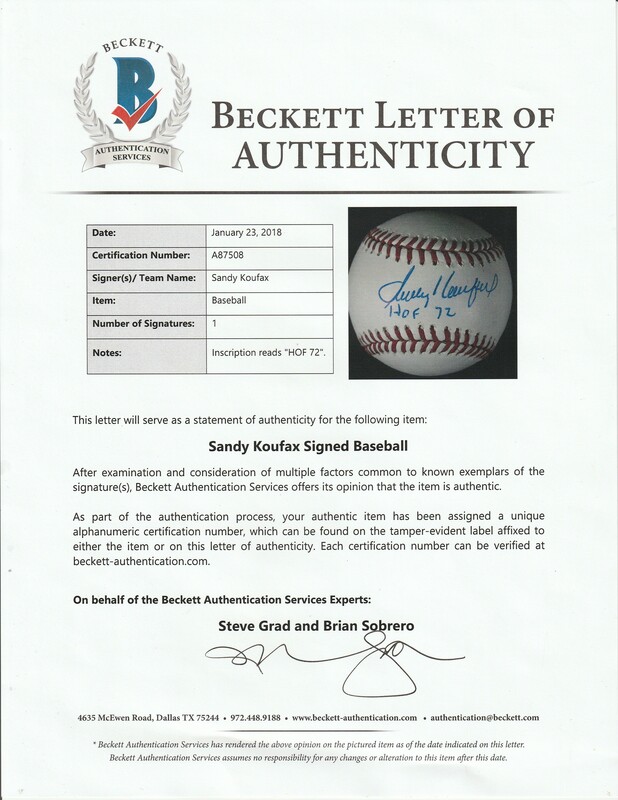 This baseball comes with a LOA from Steve Grad of Beckett Authentication (A87508).